Patterson Park is one of the oldest parks in Baltimore, spanning 300 years of the city’s spirited history. 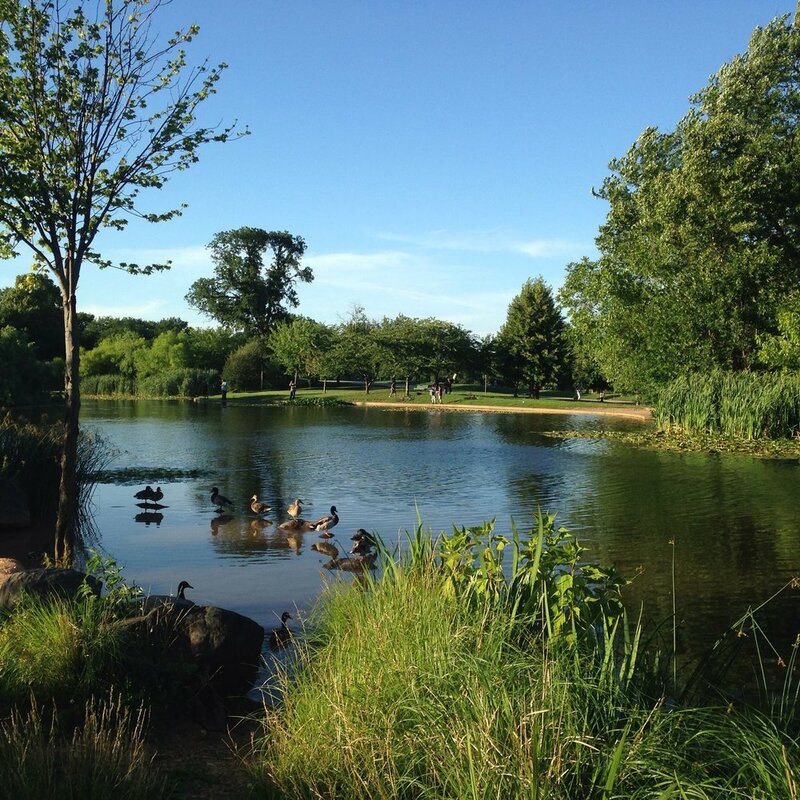 The first known resident of what is now Patterson Park was Quinton Parker in 1669. At that time, it was possible to navigate a small boat up Harris Creek from the Patapsco River right into Patterson Park. In 1708, the land was conveyed to Nicholas Rogers, and in 1792 William Patterson purchased the 200 acre Harris Creek Rogers estate at auction for $8,500. On Hampstead Hill, the ridge where the Pagoda now stands, Baltimoreans rallied on September 12, 1814 to protect the city from the threat of a British invasion. By water, British troops entered the Patapsco River and bombarded Fort McHenry. By land, they amassed forces at North Point. As they marched on to Baltimore and looked up to Hampstead Hill they saw Rodger’s Bastion – including 100 cannons and 20,000 troops. This sight led the British to return to their ships and leave the Port of Baltimore. With its historic significance and fine view of the harbor, the area became a popular place for citizens to stroll and picnic. In 1827, in an effort to re-create the public walks that he had seen in Europe, William Patterson offered the mayor of Baltimore six acres of land on the hill. In 1850, the city purchased another 29 acres from Patterson’s heirs and on the evening of July 13, 1853, 20,000 citizens witnessed the park’s formal introduction as a public space. Eventually, the city purchased an additional 30 acres of land and began planning for park structures fashioned after those in Central Park. However, on the eve of the Civil War in 1861, all parks and open spaces were earmarked for troop occupation. Camp Washburn was established on Hampstead Hill and later a hospital – Camp Patterson Park – was set up. Once again, Hampstead Hill was a strategic military lookout and fortification.When the hospital was dismantled in 1864, the park was in deplorable condition. George A. Frederick was hired to build structural elements within the park, enhancing the park’s beauty by introducing the Victorian character that remains today. Fortunately, early planners pictured Patterson Park as an urban oasis, offering a country-like setting for year-round enjoyment. Trees have always been an important element in Patterson Park. The earliest recorded tree plantings date back to 1835 when William Patterson planted 200 trees on the original six acres of park land. Over many years, hundreds of trees, both native and exotic, have been planted, throughout the Park. Thanks to our Tree Team, over 800 trees have been planted and maintained in the last seven years! 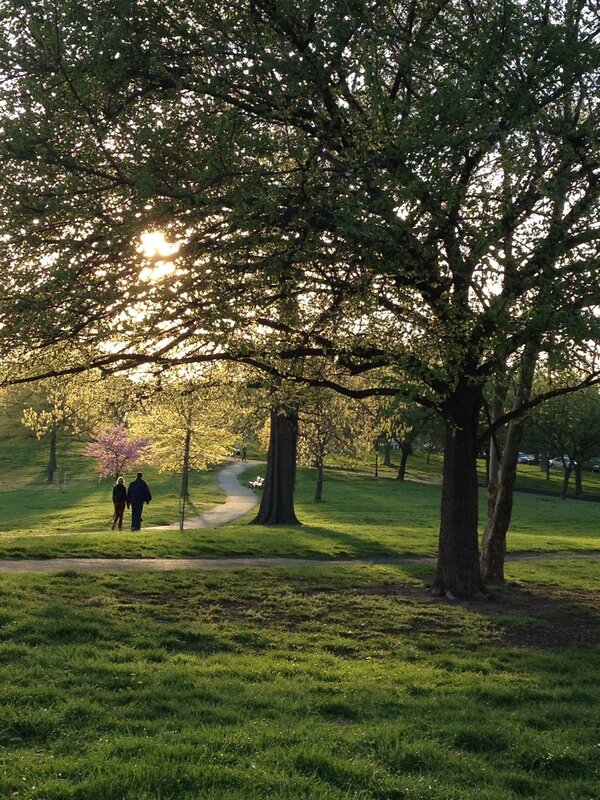 There are more than 1,500 trees in Patterson Park, representing more than 50 different species. 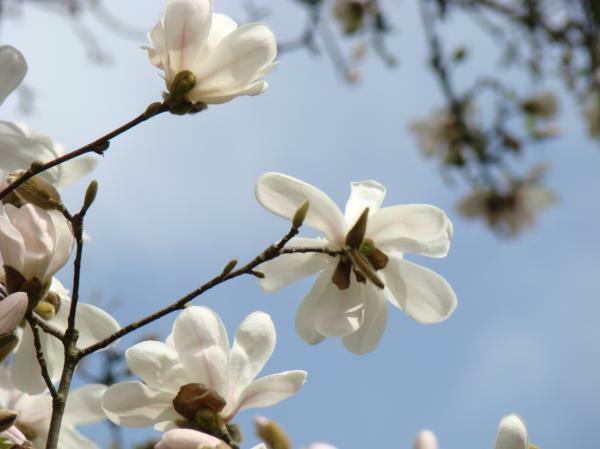 Besides mature shade trees (maples, oaks and lindens) there are several species that provide us with seasonal beauty: scented white magnolias, pink redbuds and delicate cherry blossoms in the spring and fiery maples and golden oaks in the fall. The tree species within the park has changed dramatically since the 19th century, not only in the diversity, but also in the composition. An 1887 tree inventory reported that the most dominant species were an assortment of maples as well as European and American Lindens. Maples, lindens and oaks are still fairly dominant in Patterson Park today, though there is greater species diversity now than 130 years ago. The park has some very interesting trees including the largest Amur Cork and the largest Weeping Mulberry found in Baltimore City. Near the offices of the “Friends”, there is a large White Oak that is said to be a descendant of the famous Wye Oak. 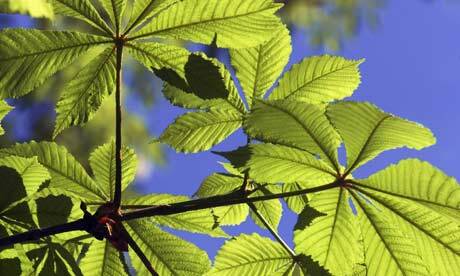 Other species dating back to 1887 and are indigenous to Southern Europe include the Horse Chestnut and the Babylon Weeping Willow. 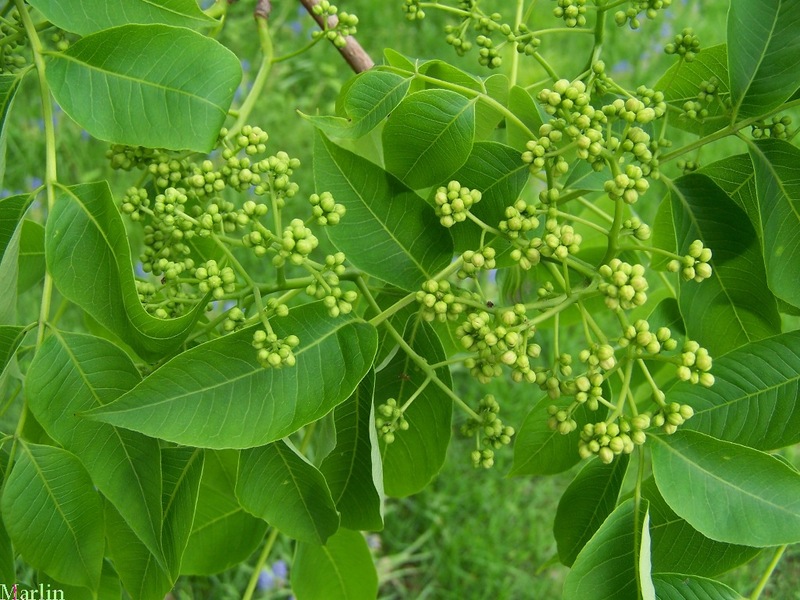 The recent focus has been on planting species that are native to Maryland. Patterson Park Tree Walk guides are available at the Pagoda on Sundays, 12pm to 6pm. Stop by and take an educational walk around the park! 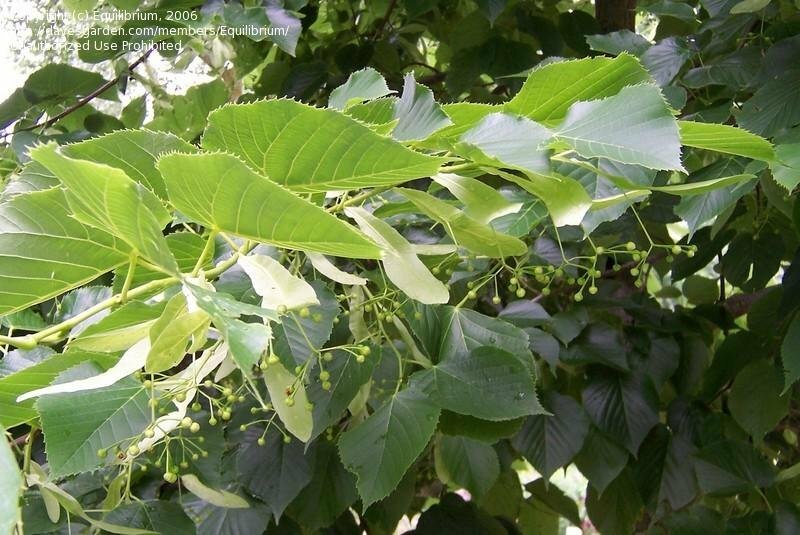 Many of the trees along the walk have botanical signs thanks to a grant from Parks & People. Patterson Park offers an oasis for all kinds of birds, ducks, and geese in the middle of some of the densest residential development in Baltimore. Local bird watchers have identified over 170 different species within the park. 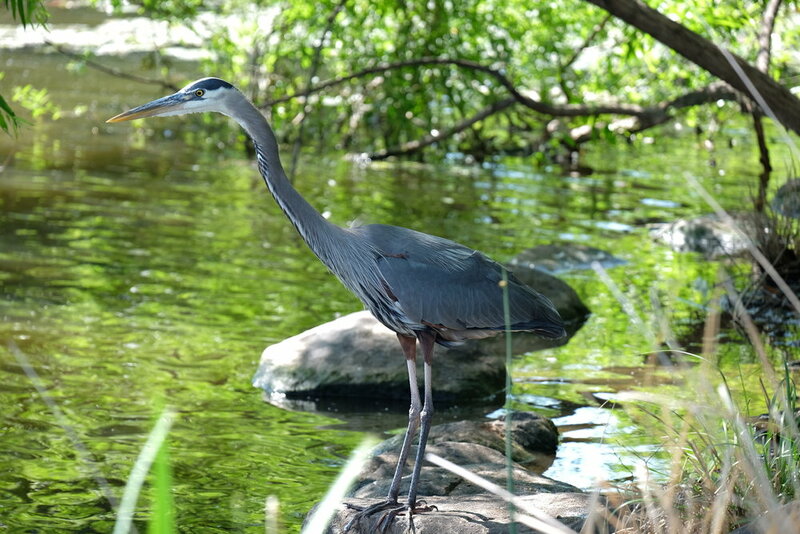 The two predominant habitats of these birds are the many trees located throughout the park and the Boat Lake. The lawn and trees attract many of the common “edge” species usually found in urban and suburban areas, so-called because these species tend to be present in forest edges. 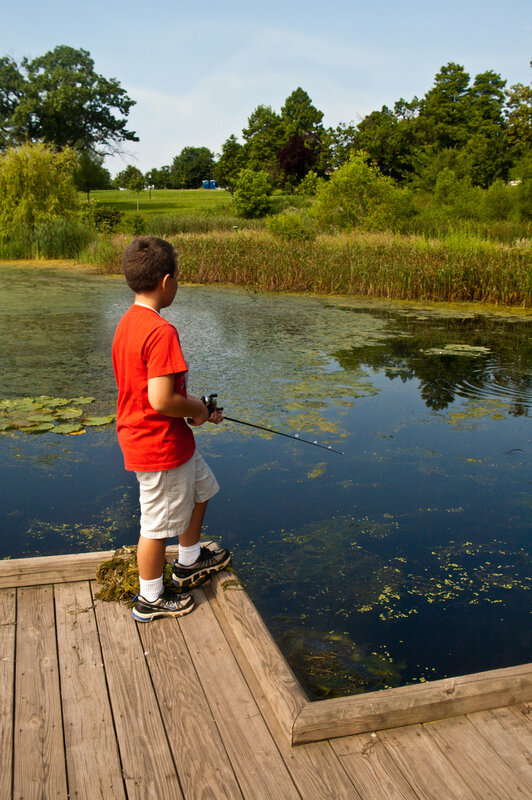 The Boat Lake environment, rarely found in an urban area, provides a perfect habitat for some water birds that, under other circumstances, would not be found in the greater Baltimore area. 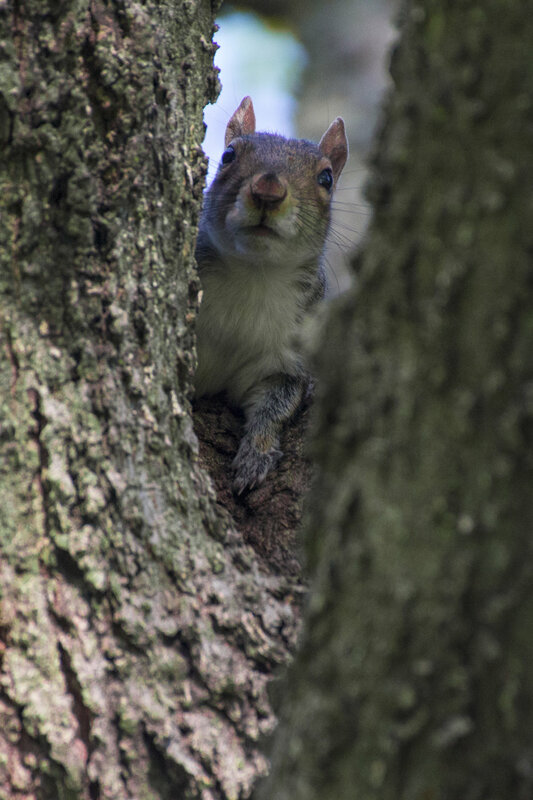 For this reason, the diversity of species in the park is greater than the diversity found in three-quarters of the city. Most of the water birds observed do not breed in the park, however, three species do breed here annually. 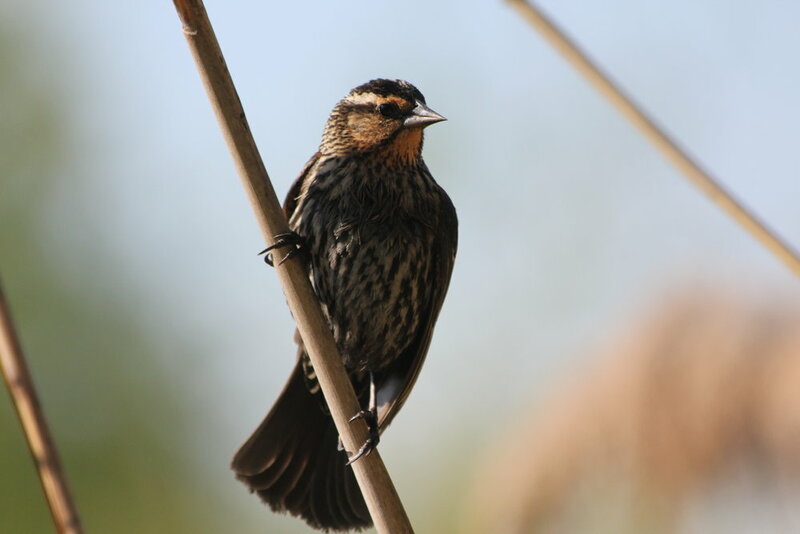 The Red-Wing Blackbird enjoys breeding in the cattails while Mallards make their nests among the reeds. The most treasured of all are the Wood Ducks that breed in cavities of trees, then stick around to raise their young. Some abundant species that have been observed by resident bird watchers include the American Robin, American Crow, Blue Jay, Chimney Swift, European Starling, House Swallow, Mourning Dove, Northern Cardinal, Northern Mockingbird and the Rock Dove. Less common species include the Baltimore Oriole, Barn Swallow, Dark-eyed Junco, Downy Woodpecker, House Wren, and the Northern Flicker. Uncommon species observed are the Eastern Kingbird, American Goldfinch, Killdeer, Wood Thrush and the Chipping Sparrow. Rare species observed include the Black-Crowned Night Heron, Black Duck, Canvasback Duck, Laughing Gull, Marsh Wren, Purple Finch, Ring-billed Gull, Peregrine Falcon, and the Ruddy Duck. The rarest species observed include the American Bittern, American Coot, Brown Creeper, Canada Goose, Swamp Sparrow, Chipping Sparrow, Great Egret, Marsh Hawk, Great Blue Heron, Green Backed Heron, Little Blue Heron, Ring-necked Duck, Marsh Hen and the Pied-billed Grebe. Of all of the birds in Patterson Park, songbirds make up the majority of the population. The history of Patterson Park has been strongly influenced by its geology. Part of the Coastal Plain Physiographic Region, the entire site is part of the Arundel Geologic Formation. Much of the Park exists upon the deposits of a historic flood plain and swamp that formed during a previous geologic era. Most of the park is underlain by clay soils with poor drainage. However, the high point of the park where the Pagoda sits today, is underlain primarily by sandier soils over underlying clay . The eastern section of the main park, which was previously a stream valley and marsh, consists entirely of filled land placed in the nineteenth century that contains ash, debris, and soil. The park annex to the east of Linwood Avenue is a former clay pit. Historical records of the park indicate there has always been flowing water beneath the surface soils. When rain falls it infiltrates into the soil until it reaches the clay layer. Since clay soils do not allow water to drain, the water collects and flows laterally beneath the surface. Where the clay layer intersects the surface, water will flow out creating a spring. 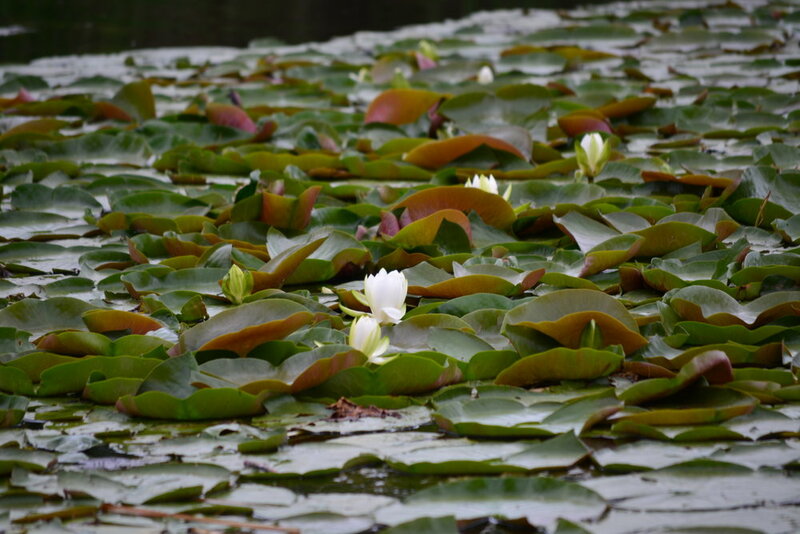 The Boat Lake, which was inadvertently created in the 19th century during a grading operation, is still fed by such a subsurface flow of water. The Park east of Luzerne Avenue was formerly the valley of a navigable stream that drained directed into the Patapsco River. The stream was converted into a bricked culvert in the late 1800s; the 17- foot wide brick tunnel still exists beneath the park, and in the 1970s was augmented with another 16-foot wide culvert called the Lakewood Avenue Storm Drain. For 50 years beginning at the turn of the century, a lake was located here. Today, the former stream valley is no longer discernible.